In his second year as host of "Prairie Home Companion," host Chris Thile still seems determined to boldly go where his predecessor, Garrison Keillor, never went before. At least musically. The versatile performer goosed the audience at St. Paul's Palace Theatre Saturday with snippets from Britney Spears, Nirvana and Alabama Shakes, paid tribute to the late Tom Petty with covers of "It's Time To Move On" and "Freefallin'" and mooned over red-hot country-music artist Chris Stapleton, who performed three acoustic numbers before playing to a much less intimate room at the Xcel Energy Center. Before going on-air, Thile turned Neil Young's "Tell Me Why" into a singalong. But if the show has a clear vision of solving shortcomings on the comedy side, it wasn't evident in this weekend's season premiere. The skits still felt like second-rate Keillor and a phoned-in piece from new head writer Tom Papa about his insights from the Newark Airport only served to remind listeners that the show is now being largely assembled in Brooklyn. It didn't help that Thile gave a shout out to the Minnesota Lynx for winning a WNBA championship at the Xcel Energy Center. The team actually took game 5 at Williams Arena. 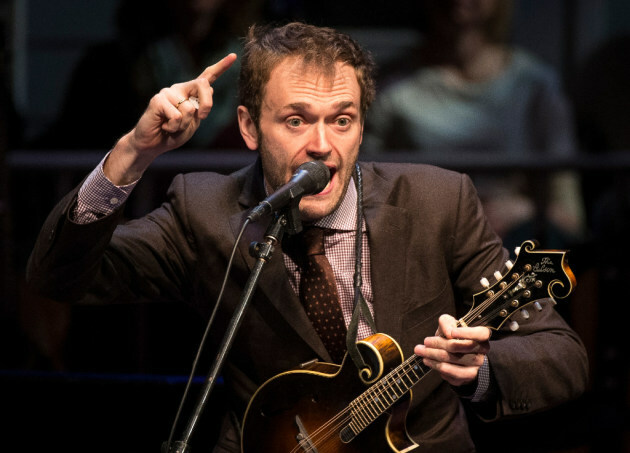 Thile's giddy enthusiasm, a trait of some concern for those still used to a more laid-back "Companion," is even more on display when you see the show in person. He often dances around like a puppet who just got released from his strings and gushes over guests like he's taking his inspiration from Jimmy Fallon, not Keillor. Still, it's hard to complain about a show that is so musically in tune. At least that element should continue in Thile's first full season as host with an upcoming guest list that includes the Preservation Hall Jazz Band, Randy Newman and Margo Price.